Luxury Liner Pro - Our best noise barrier for luxury car silence! Luxury Liner Pro is our best automotive noise barrier. Apply this mass loaded vinyl barrier on top of a vibration damper like our Damplifier Pro mat, in order to block airborne sound waves & create luxury car silence. If your goal is tomb-like silence, Luxury Liner Pro is a must. If you are in need of a car interior that offers a blissful level of silence, quiet and calm, this product will be just perfect for you. Designed to work a mass sound and vibration dampener vinyl sheet that goes over an adhesive dampener like our Damplifier Pro mat, Luxury Liner Pro provides silence that will transform your car from a daily driver to a luxurious ride, at least when it comes to sound ambiance. Please note that the use of this product will require usage of contact spray adhesives, with 1 can required for every 4 sheets that you use. Special Note - Please also note that this vinyl sheet, being a very high quality mass loader that it is, can sometimes be inappropriate for certain locations like the underside of a car’s ceiling, due to its sheer weight and the effects of gravity. In those circumstances, we strongly recommend our Heat Wave and Heat Wave Pro line of dampeners! Designed to block out airborne noise and sound waves, this vinyl sheet has a unique construction design. 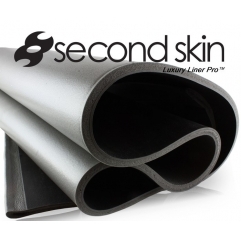 Unlike traditional sound dampening vinyl sheets that use two layers that are glued together, Luxury Liner Pro uses two layers that are fused or melted together, to offer an impenetrable barrier that knocks off a very wide spectrum of sound waves, giving you that serene, luxurious ride that you can only otherwise expect in elite cars with price tags upwards of at least R 500k. When you use Luxury Liner Pro, engine noise, road noise and exhaust drone is drowned out, leading to a quieter cabin. When your cabin is quiet and is free of vibrations, your audio system is going to sound cleaner and louder, even at low volumes. Just try installing Luxury Liner Pro and you will be amazed at the high quality audio experience that you can enjoy, after installation. 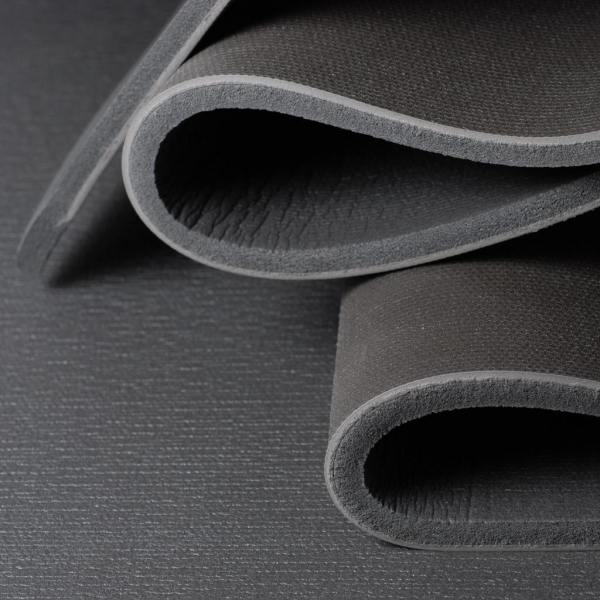 Though you might be buying Luxury Liner Pro as a sound deadener, you must also know that it is the best-in-class heat blocking mat as well, at least when it comes to mats that are installed on the inside of your car. If you live in hot climate or if your engine heat has a tendency to seep into your car, Luxury Liner Pro can do a fantastic job of keeping out that heat, along with vibrations as well, giving you a cool, quiet cabin that you can enjoy. What exactly is Luxury Liner Pro and what does it do? This product is Second Skin’s best mass loaded vinyl barrier, also known in the industry as MLVs. Designed for use on top of vibration deadeners like Damplifier or Damplifier Pro, this layer can significantly block out road, exhaust and engine noise. How do I apply Luxury Liner Pro? Which side does the adhesive need to be adhered to? You must always use the adhesive on the foam side of the Luxury Liner Pro sheet. Then, just apply the foam side on top of the foil side of a sound deadener product like our Damplifier or Damplifier Pro. Another proper way to remember how Luxury Liner Pro should be applied is to always ensure that the vinyl side of the sheet will face into the car, into the passengers who are seated inside the car. How is Luxury Liner Pro different from the standard Luxury Liner? Luxury Liner Pro and Luxury Liner are very similar products, but with one significant difference. Though both are classified as mass loaded vinyl barriers, what makes Luxury Liner Pro different is that it uses a more effective, stronger, closed cell foam or commonly referred to as CCFs, while Luxury Liner is only a vinyl and has no closed or open cell foam. This difference in structure means that Luxury Liner Pro does a better job of filtering out high range noises, leading to a quieter cabin than a cabin that is protected by just the regular Luxury Liner product. Is Luxury Liner Pro sold with the foam decoupler attached? Yes, Luxury Liner Pro uses a sheet where the foam layer is already attached to the vinyl layer. Instead of just gluing these two layers together, Second Skin has developed a unique process where the two layers are melted or infused together, with special chemical additives.